A cloud-based solution to file and remit tax returns. For business owners or companies who need to file for a single business or a business with multiple locations. For tax preparers, CPAs and filing practitioners who manage multiple business accounts for multiple clients. 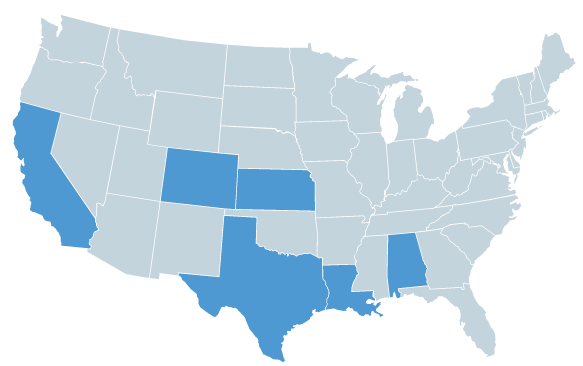 We cover more than 300 local jurisdictions across Alabama, California, Colorado, Kansas, Louisiana, and Texas.